Commercial lease agreements… now that’s something we are very familiar with. If you aren’t well versed in commercial leasing, you may want to have someone help you understand the terminology and assist with the negotiations. Just the slightest variation in wording, as presented in the lease, can significantly impact your agreement. It’s a good idea to know the nuts and bolts of negotiating a commercial real estate lease. SVN | Southgate Realty, in Hattiesburg, MS wrote an article with some excellent information for those who are going through the process of lease negotiations. In their article, they specifically wrote about research, clauses and extra costs to be aware of. We hope you find this article both interesting and beneficial. 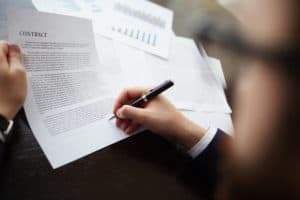 Negotiating any sort of lease can be critical, but is a commercial real estate lease much different than say, an apartment lease? Creating and negotiating the best lease for your business can help set the ground for you to be successful. There are certain ways to ensure you have the best possible lease for your business. We have outlined a few tips on how to negotiate your commercial real estate lease like a pro. Before shaking on any real estate transaction, you need to do your research. In the situation of lease negotiating, you need to research comparable leases in the area. You want to be sure you are not paying more than real estate is worth in the area. You are trying to get the best possible deal you can find, so you want to be prepared to talk down a landowner before renting/leasing. The security deposit can also be negotiated if you feel it is too much for the property. If you plan on leasing the property for a longer period of time than discussed on the lease, you may want to negotiate the conditions of lease renewal. Many landowners will want to increase rent after every lease renewal. You can negotiate a cap on these and assure the renewal cost is affordable for you. A termination clause is a part of the lease which discusses what were to happen if the lease needed to be terminated early. This can happen for many reasons, but no matter what the reasons are, you do not want to be penalized more than you can afford. Most termination clauses do have some sort of penalty; however, you can….